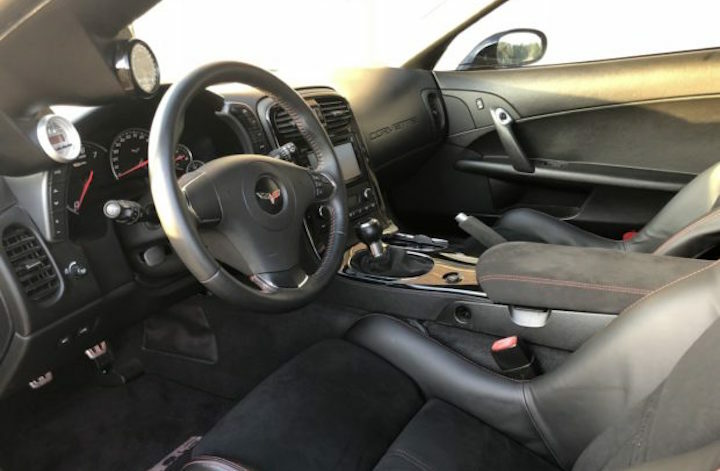 Last year, we showed you an interesting 2006 C6 Corvette Z06 that was listed for sale on Bring-A-Trailer. The vehicle had numerous mods, but the most notable was a heavily upgraded 7.0-liter LS7 with a Sonny Bryant flat plane crankshaft. It seems as though the flat plane crank Corvette Z06 failed to sell last time, as it has just been re-listed on Bring-A-Trailer. According to the listing, this car’s Sonny Bryant flat plane crankshaft weighs just 30 pounds and helps the LS7 make 560 hp and 460 lb-ft of torque thanks to accompanying upgrades like a Comp camshaft, Wiseco pistons, a five-stage dry sump lubrication system, CNC ported cylinder heads, Manley push rods, Inconel exhaust valves, titanium intake valves, a Holley dominator ECU and long tube headers. Paired with the engine, which reportedly has a redline of 8,250 RPM, is the Z06’s factory six-speed manual transmission, an Exedy aftermarket clutch, and a Fidanza aluminum flywheel. The listing indicates this car is accident free and has previously been registered in California, Indiana, Kentucky, and Ohio. It has 65,000 miles on the odometer and is currently located in Floyds Knobs, Indiana and is registered with a clean Indiana title. Bidding sits at $18,000 at the time of this writing with just over 3 days left to bid. What would you pay for this heavily upgraded flat plane crank Corvette Z06, Chevy fans? Check out the listing at this link for additional information and photos, and let us know in the comment section down below. That is one high revving pushrod engine.